You guys, today, get here how to disable Wallet app on lock screen iPhone. The Apple’s added the new app on locked screen in iOS with customizing feature. The Wallet app (revamped old passbook app) on lock screen iPhone mean by without unlocking iPhone screen. Your wallet app can access. Might it’ll enable default while you set up Apple pay already. The guide is useful for all iOS 11 supported devices including iPhone 5S/SE, iPhone 6/6 Plus, iPhone 6S/6S Plus, iPhone 7/ 7 plus, iPhone x, iPhone 8/8 Plus. 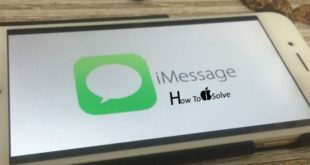 You can learn here both (enable and disable wallet app showing on lock screen) methods in the step by step manner. Now go to the home screen and once lock your iPhone, then check out you’ll appear wallet app icon on right side of the screen. Now, Quick access wallet from lock screen iPhone and will make a purchase using Apple Pay, at there you can be switch cards also. If you worried about cards data security, then as the best way you should be disabled wallet on iPhone lock screen option. 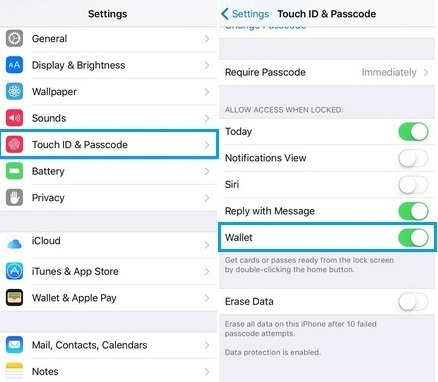 You can disable Wallet app on lock screen iPhone on iOS 9 by following steps. Step 3. Turn toggle Wallet off/ White. From now, wallet icon will go away from an iPhone lock screen. Please share with us how much useful this tip for disabling Wallet app on lock screen iPhone.